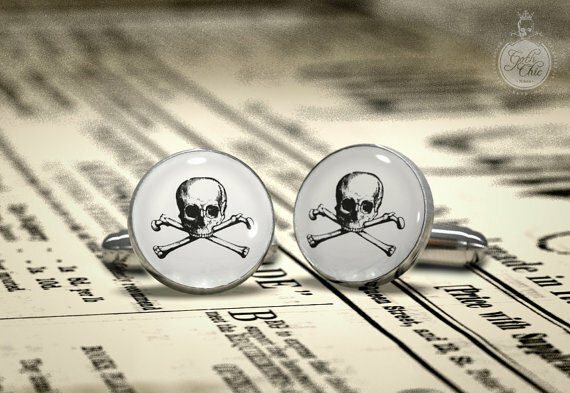 I have featured some Skull Cufflinks by Goth Chic before but here I am again with some designs not featured in that post. 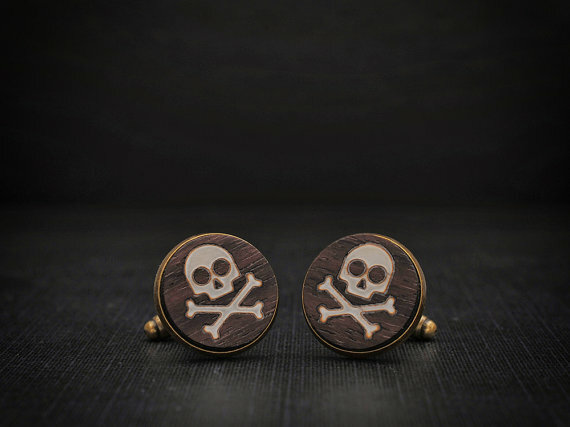 Men, in the Victorian era, loved to wear macabre and scary accessories to drive away the fear of death. 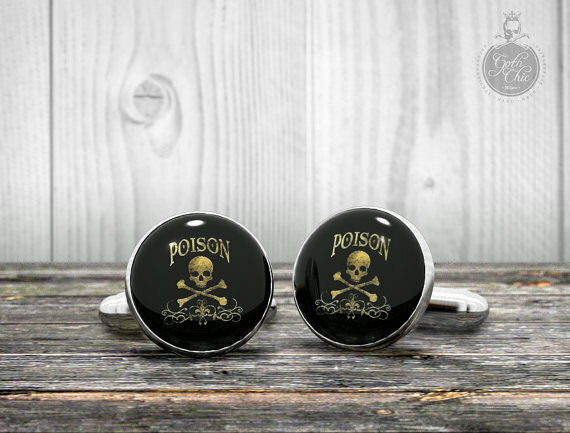 This is a modern interpretation of that old practice – cufflinks decorated with a beautiful skull. 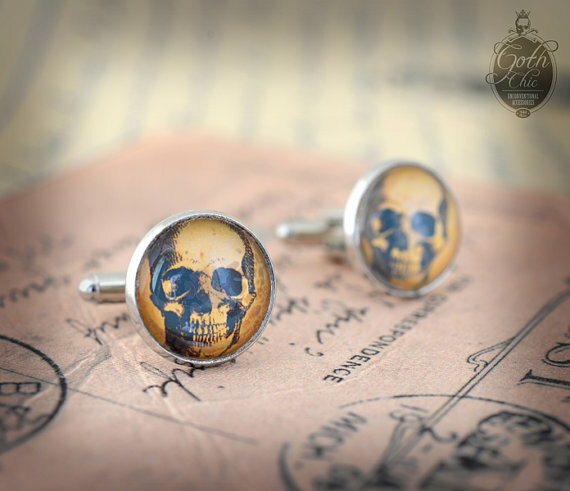 These amazing Skull Cufflinks are available on Etsy: GothChicAccessories. You can find there an unconventional accessories and oddities fully and proudly hand made in Milan, Italy. 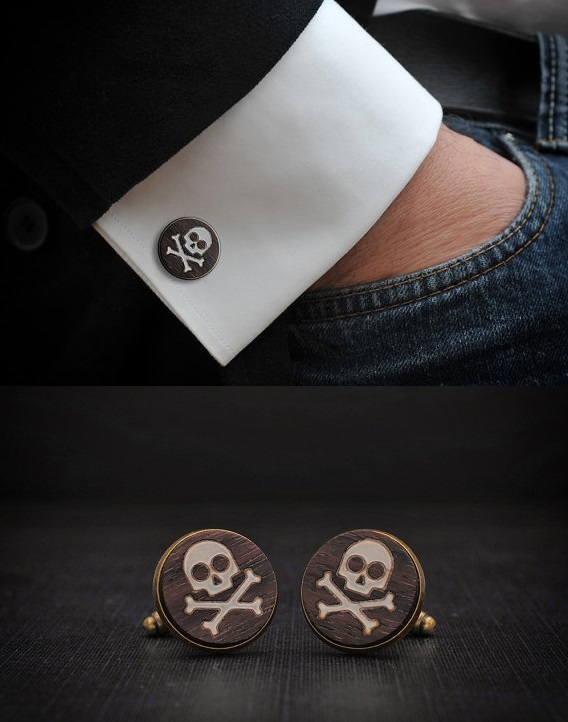 Goth Chic Milano creates and produces handmade accessories basing his work on creativity, tradition and quality. 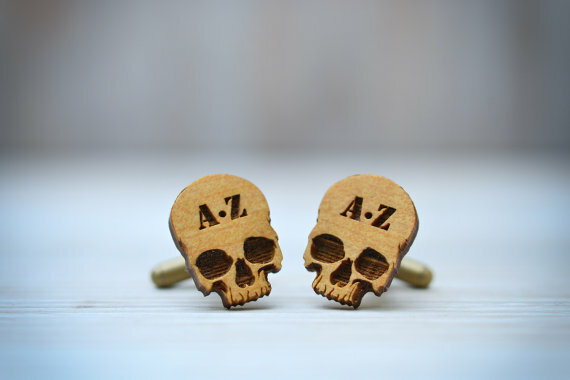 They combine the ancient traditions of Italian artisans with modern technologies such as 3D printing and laser engraving, creating and producing accessories with a unique charm. Wearing Goth Chic accessory means owning something precious and exclusive able to give a touch of unbeatable uniqueness.